Consuming the wrong foods can cause a lot of damage to our body, even if we think they might be healthy. You may not be aware, but certain foods that may seem good for you can cause your blood sugar levels to spike and increase your risk of developing serious issues linked to diabetes. Packing on the pounds, especially on the belly can be dangerous for diabetes patients. A healthy lifestyle can be challenging at first, but it will help protect your body from severe health complications. If you are looking to make a change or want to be aware of the harmful effects certain foods can have, then you need to stay away from these products that can cause excess belly fat and mess with your cholesterol and triglyceride levels. Diabetes patients need to understand the dangers especially. 1. Sugary drinks: Fruit punch, soft drinks and other carbonated beverages are a big no. It is high in fructose, which has a link to insulin resistance. It can also increase your risk of developing heart disease, belly fat and fatty liver. 2. Trans fats: It can be found in peanut butter and creamers. Reducing your intake of it has been found to reduce the risk of heart disease. Not doing so can cause inflammation, insulin resistance and belly fat. 3. Fruit smoothies: Smoothies may seem healthy because it is high in fibre and it is easy to get your daily source of nutrition. However, don't be fooled as it is loaded with sugar, carbs and extra calories. 4. White bread: Consuming too much white bread can cause a spike in blood sugar levels for diabetes patients. 5. 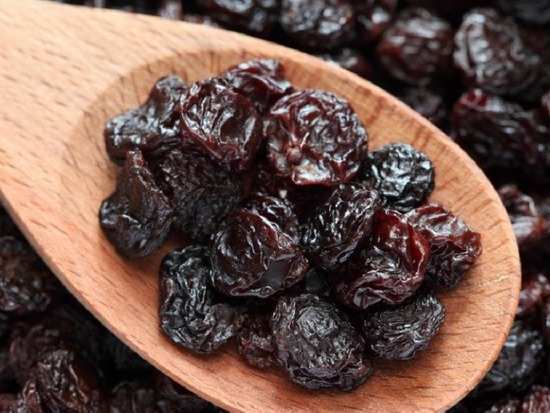 Raisins: The sugar content tends to become more concentrated when raisins are dried. This can cause your blood sugar levels to spike and that is why it is better to choose to eat fresh fruits. 8Can proper counselling prevent obesity in pregnant women?